This year, one of my resolutions was to celebrate my 30th birthday in style, and I feel as though I can tick that off my list. I had agonized for ages over how to ring in the beginning of my 30th year, and in the end I decided that the best way would be with some awesome food, my favourite people and plenty of down time. I ended up taking the week of my birthday off work. I wanted to have a chance to relax and recharge as well as loads of time to plan fun celebrations with my family and friends. Having a whole week where I didn’t have to get up and go to the office has been amazing. My 30th birthday fell on the 9th of June, 2016. 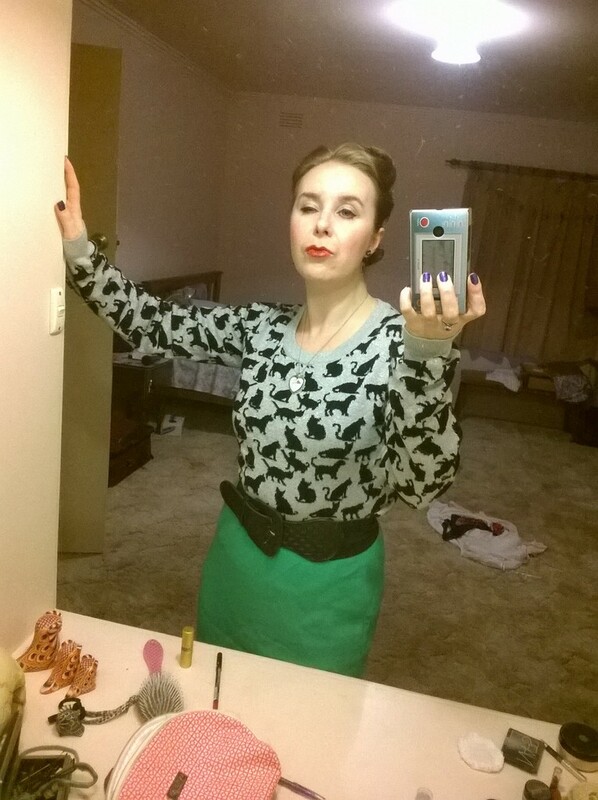 I started the day by cuddling in bed with the cats before getting up and slipping into a vintage Pendleton wool skirt and this adorable cat jumper that I bought from Nerd Burger’s closet clear-out sale. 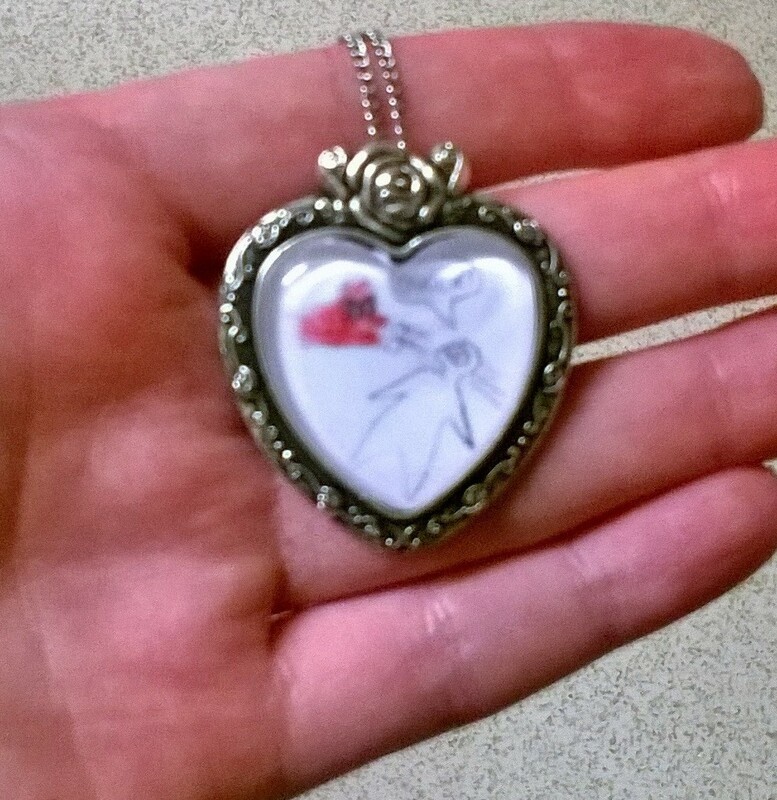 I accessorised with my favourite black cat earrings, my grandmother’s eternity ring and this rad Deadpool necklace that my boyfriend David gave me. 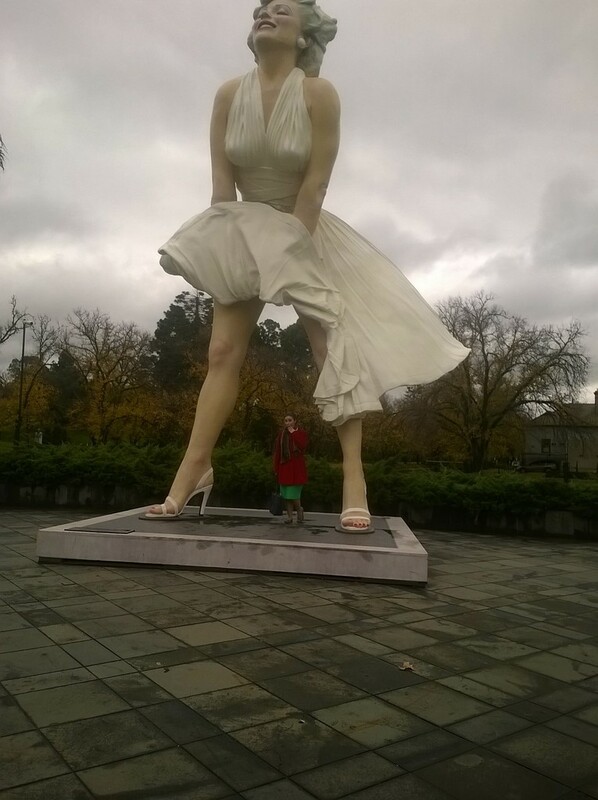 My parents had very kindly purchased tickets for the three of us to see the Marilyn Monroe exhibit at Bendigo Art Gallery. So we all traveled to Bendigo by car to check it out. I’ve admired Marilyn Monroe for as long as I can remember. My first memory of her is a black-and-white portrait that hung in our local pizza cafe. The portrait is the ever-famous shot of Marilyn standing over the subway grate in The Seven Year Itch, with her skirts billowing in the updraft. So it seemed fitting that we were greeted by this seven-metre sculpture of that exact moment as we pulled into the Bendigo CBD. The exhibit itself was incredible. It featured a wealth of personal items of Marilyn’s, including the beauty products from her dresser, her personal camera, her collection of gossip magazines and some jewellery. There was also a huge collection of costumes and items from her personal wardrobe. For me, these items were the highlight of the exhibit. I am so inspired by Marilyn’s personal style, and to see her clothing in person was just amazing. I was quite shocked by how small her clothes were. She always appears so voluptuous, and yet some of these items were absolutely teensy. The beading and detail on the costume pieces was breathtaking. I was also struck by how ordinary many of her day-to-day outfits were. Although there were many furs and gowns, the display cases featured twice as many plain day dresses, knit sweaters and simple shirts. It really brought home the fact that although she is known as one of the most glamorous women in the world, Marilyn was also just a woman, who wore regular clothes in her downtime. I spent a great deal of time looking at those simple day-to-day items, trying to imagine how she might have worn them. 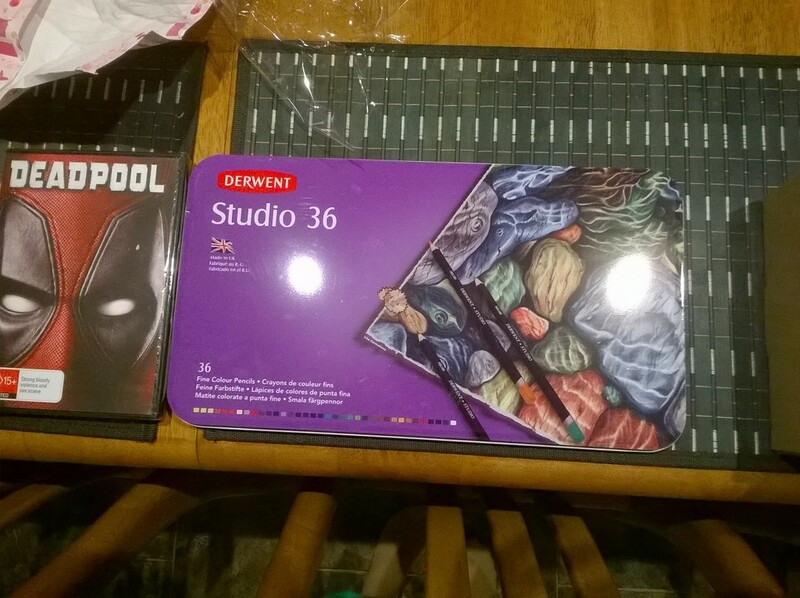 I was utterly spoiled with presents. I got a stack of new books, including a colouring-in storybook version of The Wizard of Oz. I’ve gotten really into colouring lately and I’m so enjoying working my way through this book. 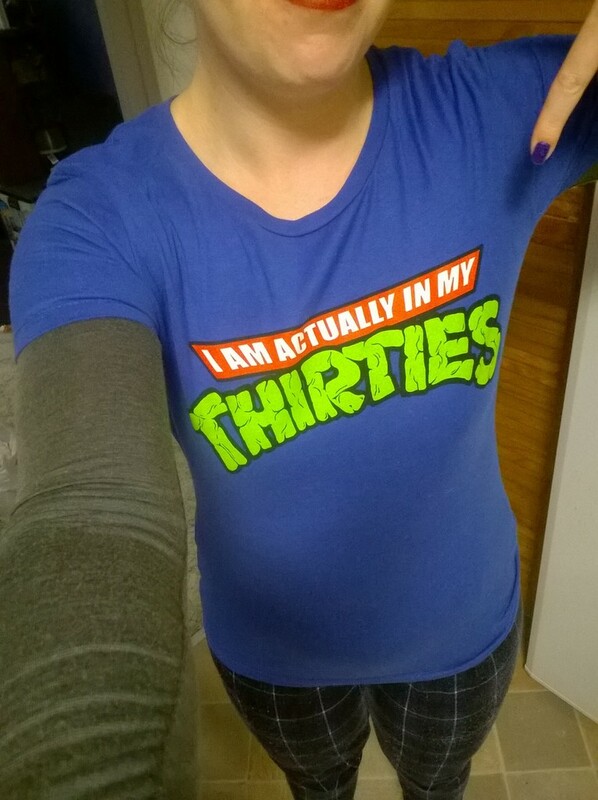 My brother showered me with awesome gifts, but my favourite was this tee shirt, which I expect I will wear often. The day after my birthday I travelled down to Melbourne to catch up with my friends. 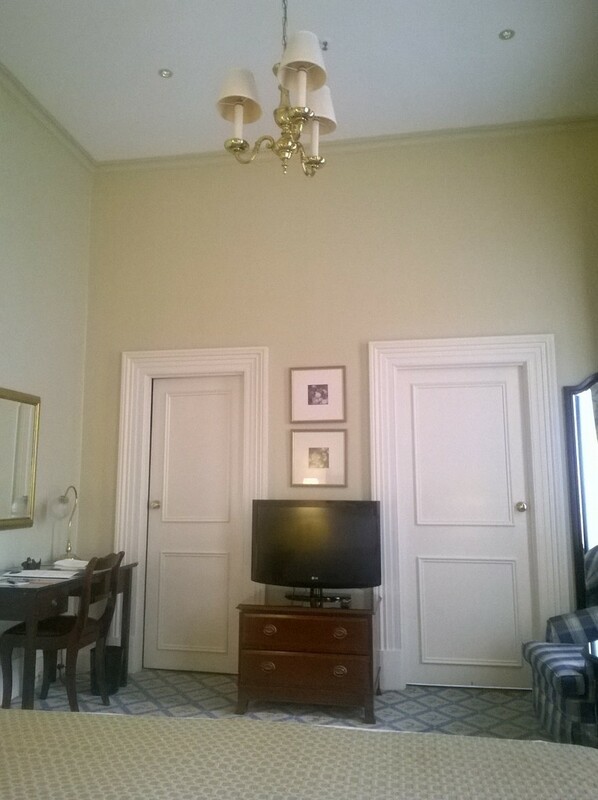 I had booked myself a room at The Hotel Windsor as a very special treat. This was my first time staying in a five-star hotel, and it was an incredible experience. Upon arrival, my bags were whisked away and taken to my room. 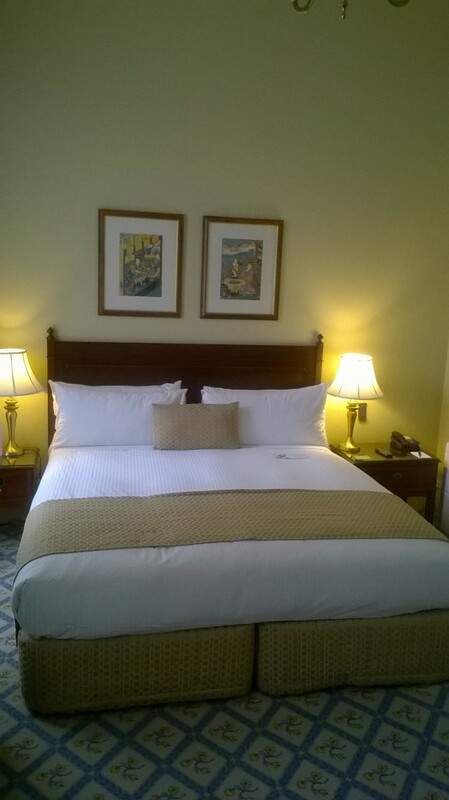 The room itself was utterly luxurious, with a king-sized bed, a stunning bathroom and a kitchenette. 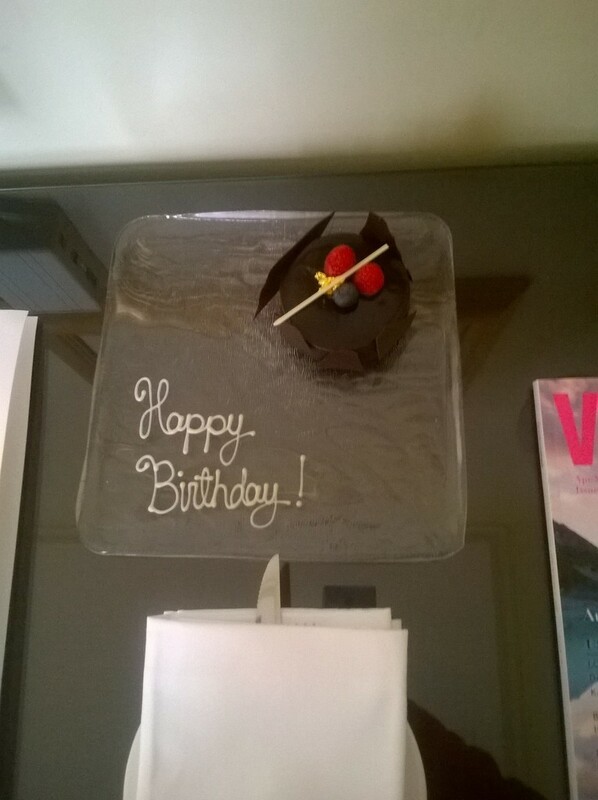 I was also delighted to discover that the staff had placed a birthday cake in my room as a special surprise. I had organized a dinner at one of my favourite Japanese restaurants. It was a great night, eating delicious food with my friends and my brother. By the time David and I got back to the hotel, I was ready for a bath and bed. I think I definitely celebrated in style, and I’m extremely excited to see what my 30’s will bring. My 20’s was a massive decade, and I know that I’m much happier with myself and my life than I was on my 20th birthday. Fingers crossed that my 30’s will be filled with awesome opportunities and fantastic adventures. Happy birthday! Looks like your day was full of awesome, as it should be. Aw, thank you! It was a truly magical day.